Washington DC’s popular Adams Morgan neighborhood is well known for its colorful antique row houses. Lot 33, however, is a strikingly modern condominium that was delivered in 2008. 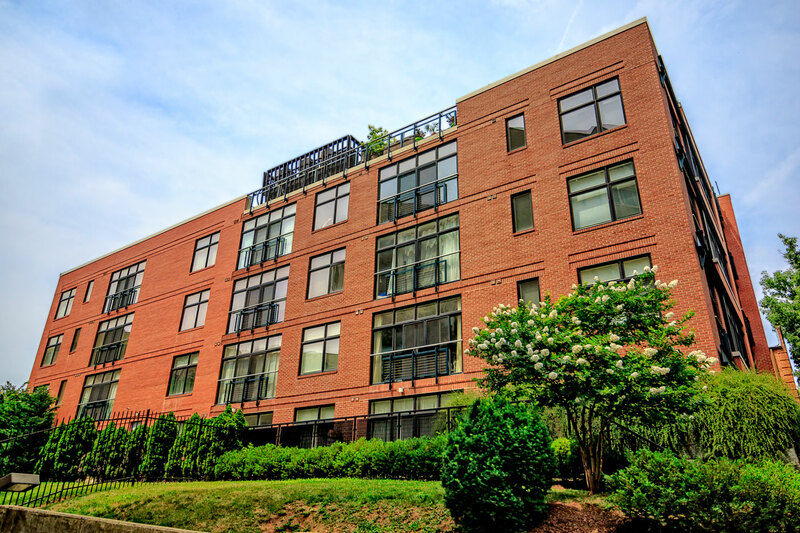 Designed by Eric Colbert & Associates, this 22-unit building has an unusual presentation from the street, with a fieldstone parking garage and lobby entrance, transitioning to brick and steel girder construction above. 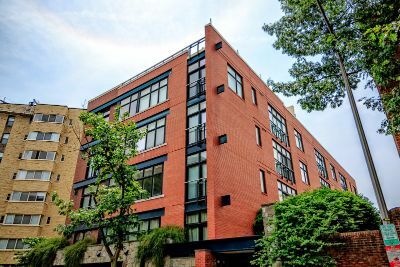 Located at 1654 Euclid Street NW, this four-story building offers amazing floor to ceiling glass walls spanning almost the entire width of each level. There are both one and two-bedroom condos for sale, as well as units that come with dens. There are even some select loft residences. The square footage ranges from around 600 to 1270. Enter one of these impressive city homes and feast on blonde hardwood floors, windows running the length of ultra-wide terraces, and open granite kitchens with stainless steel appliances from Viking and Bosch. The oversized cabinets come in a variety of finishes. Bathrooms feature marble, limestone and glass tile, with Grohe fixtures. You can also add walk-in closets with Elfa systems. Condos for sale at Lot 33 typically start in the $300s, climbing all the way to the $900 range for select penthouse residences. There is also a 600-foot rooftop deck with grills. This is an amazing location, with a nearby Harris Teeter and a terrific local farmers market. Plus, 18th Street is a very short walk away, with amazing bars and restaurants like Rumba, Smoke & Barrel, Bourbon, Tryst, Perry’s and so much more. As for transit, the Columbia Heights Metro is a half-dozen blocks north. Plus, there’s a Capital BikeShare one block away on Euclid. Finally, for those mornings when you just need a little solitude in the middle of the teeming city, Meridian Hill Park with its cascading water terraces, duck pond and statue of Serenity, beckons you.